THIS WEEK: Still looking for the unfindable: Adventures in cartoon searching! It isn’t as if it’s a completely futile journey, but I think its one of those things were you know that, sooner or later, you’ll at least get to see at least some of the films on the ‘most wanted’ list, but surely not *all*. There’s lots of different ways that the oddities show up or become available. 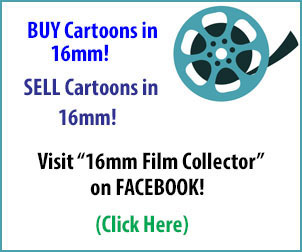 The most common way for Thunderbean to gain access to them has been through film collectors. A lot of the collectors have already done the digging, through collecting for many, many years. I have as well, but I’ll forever remain more of a piker, having only officially collected films since 1980 or so. I’ve opined here before about going to the collector’s shows in this region of the country; the biggest thing I miss is the all the stories from various collectors about various films. Another way things show up is through the archives. Many collectors have donated materials throughout the years, and many archives have purchased collections as well. On both the Flip the Frog and Rainbow Parade sets, many of the small finishing touches for the sets are owed to collectors and archives around the world to fill in small missing pieces. The ‘nitty gritty’ stage I’m in on those projects drives me crazy, especially if there’s material I know about that requires more than a fair share of little loops to jump through to access. There are currently three projects that require significant hoops to move forward, and those ones are even harder! To me, finding or borrowing a film is just the first step. Having them scanned and available to the people that want to see them is the bigger goal of course. It works well to have many projects going at the same time in that the little missing pieces tend to come in without a specific time line. The favorite series I’ve been lucky enough to keep adding titles to include The Kinex Stop Motion shorts, whole series of commercials from various studios, John Sutherland Industrial films that are less common, and various cartoons starring various black cats. Finding original titles on many films never gets old. Ted Eshbaugh’s cartoons are also always high on the list. Smellot Bones, Dog Detective (1930) and those odd copyright listings for the two Dr. Suess shorts (1931) still puzzle me, and all remain unfound.However, there *are* three Technicolor shorts that have all been unearthed in recent years, and although I can’t talk about them year, I’ve seen one of them. It won’t be forever before some of these are available. My favorite find has to be the 35mm print of Cy Young’s Mendelsohn’s Spring Song. I literally was running to Cleveland to beat another collector to it, and got lucky to be there an hour before him. Luckily, we call get to see it, and its now at the Library of Congress. • Two prints that I’ve been trying to get from one collector for about a year and a half. Getting them involves going to a storage unit and unearthing them from behind lots of other stuff. • One short that I managed to trade a collector when I was in my early 20s. The collector now has all his stuff stored in Texas, but he lives in the Philippines working at the laundrymat he owns! • One film that belongs to a collector who in famous for vanishing for long periods of time. It’s the only print I’ve seen show up of this title, from 1947. This Kodachrome print got sniped as I was bidding on it, and I thought I was all good to borrow it, but now the collector is too worried something with happen to it in shipping, so it will, for now, remain unseen. It’s hard to say if that print will ever see the light of day, but if it does I’ll be there with bells on and scanning facility in hand. It’s just part of a still incomplete list of productions from this small studio, but we have managed to find quite a few things from that particular place over the years. • One feature that it looked like I had a deal on, but has since become less than available. While its not a favorite of mine, it’s a favorite of other people, and the master materials are still extant. I wish Thunderbean was just a little bigger; maybe some day…..
• Another feature that has super complicated rights. It looked like there was some traction of that project, but bickering among the license holders and the lack of any substantial guarantee pretty much assured that the film would remain one of those great mysterious problems. There’s many more of these stories, but I can’t talk about most of those since there’s always some possibility of things moving forward. Now, for you collectors, what was your favorite find, cartoon, antique or otherwise? Was wondering if we are celebrating the 80th anniversary of Max Fleischer’s Gulliver’s Travels this year. Are there any plans to make a clen 2k scan HD Blu-ray and DVD print of the 1939 animated film? Yes, I know which “Dr. Seuss”: films you’re talking about. I vaguely remember seeing them on YouTube. Oh, I love these THUNDERBEAN THURSDAY posts, even though we don’t get much in the way of news of finished projects heading “out the door”, and I totally understand why on your end. What I never understand is why collectors hold onto their secret finds as, if they loaned it or gave it to you, chances are it would end up on digital media which means that many, many folks would be happy to own it, including said collector. I once was in contact with a video and film collector who was fine with trading me some of his amazing kinescope transfers, until I refused to give him an original copy of a cartoon collection that I’d received from a New York collector. He figured he was punishing me by refusing to trade with me anymore, and he was, because he had some promising kines transferred that I still wince at now not being able to own. I can’t imagine whatever happened to that collector, but he and his amazing rare finds that were promised to me are vanished. If collectors in general would realize that, by sharing the wealth, so to speak, the interesting stuff is being exposed by more people and the word gets out there that the seemingly unattainable is indeed attainable! Such swopping is what started the major 1980’s cartoon boom and got this old blind boy struggling to acquire so many of his childhood memories. As limited as I am at finding the unfindable–I can only collect on DVD or blu-ray and I now no longer have a stand-alone DVD copier–there are times when I can find some goodies, although those goodies are often available to other folks as well. I totally understand why film collectors are so secretive, but remember how hard it is to maintain those vaulted items, as you’ve pointed out, Steve, with pieces about how film deteriorates. 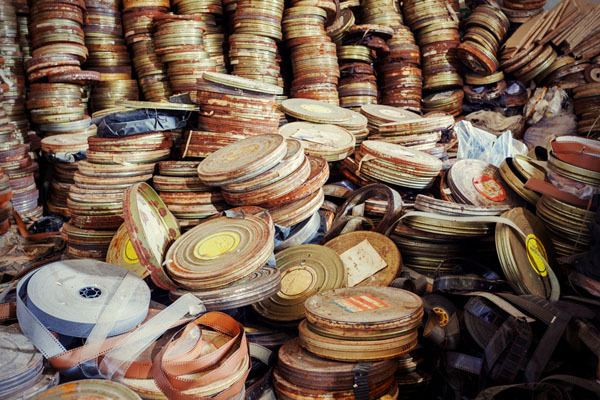 While digital media is often no major substitute for beautifully preserved celluloid, it is a viable way of preserving that which is fading with time. Yes, the 1930’s and 1940’s that we desire are not so easily found now, because there are less and less folks out there who care enough to obtain such things, and even lesser folks who want to obtain and share such things! Here is hoping that I someday can find more transferred kinescopes on some notable animated cartoon classics, along with original TV ads that are also so hard to find. I keep looking on You Tube, which is slowly becoming a wasteland as all I can find there are uploads from widely available collections. I ask that only the major copyright holders not let such uploads discourage them from restoring and releasing such wonderful rareties. Trust me; what I find on You Tube only makes me desire the same material on physical media, neatly restored with background historical finds and other interesting special features. All else I can say is that I don’t want to see everything I love become nothing more than downloads, because so often, those downloads are third generation transfers, the kind of quality I could find from private collectors! Okay, okay, enough rant, but that is what it is like on my end and for those of us who collect on digital media. I wish you luck as always, and I keep hoping that physical media sees good stuff restored and released. There are still a lot of oddball gems that we dimly recall from childhood that have not been touched, so I’m not always talking about stuff that has been reissued over and over again. “I can only collect on DVD or blu-ray and I now no longer have a stand-alone DVD copier” – If you have a computer, there’s plenty of free software to manage that process very quickly. It’s amazing how some of these prints can turn up. On the Undercrank Productions DVD “Accidentally Preserved Vol.1” there is Inkwell Studios’ “Mechanical Doll” from 1922, which was found in a basement along with some run-of-the-mill Lantz cartoons from the 1930’s. It was a 16mm print that, judging from its leader, was apparently a master copy struck in the early 1930’s. As far as I know, there are only two other prints of “Mechanical Doll” in existence, and this is the only one now available to the public. 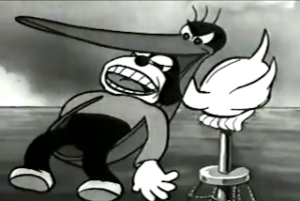 I wonder if “Fried Chicken” (Terrytoons-1930) will ever be found. That’s an easy one, the negative to Fried Chicken and a nitrate print are in the Viacom collection, housed at the UCLA Film Archive. The inventory numbers are M158911 and M158765. Just call up Scott McQueen and he will arrange a screening for you! If you get him to do it, please invite me along! Now I’m missing only Rippling Romance. I have no idea where to even start in locating it. Original theatrical Aesop’s Fables silents…. has anyone bothered to collect nitrates? Note that I said theatrical release, not those Commonwealth television prints with the new titles and sometimes stock music from the Thomas J. Valentino library. ‘Henry’s Busted Romance’ and ‘Happy-Go-Luckies’ are the only ones I’ve been able to see in public; with a preliminary evolution of the opening titles from the get go. Fables Pictures never(?) 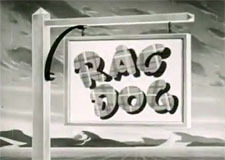 credited Pathe early in their era, and the title cards didn’t even call their pictures “Aesop’s Fables”. Just ‘Fables Pictures presents [cartoon title]’. 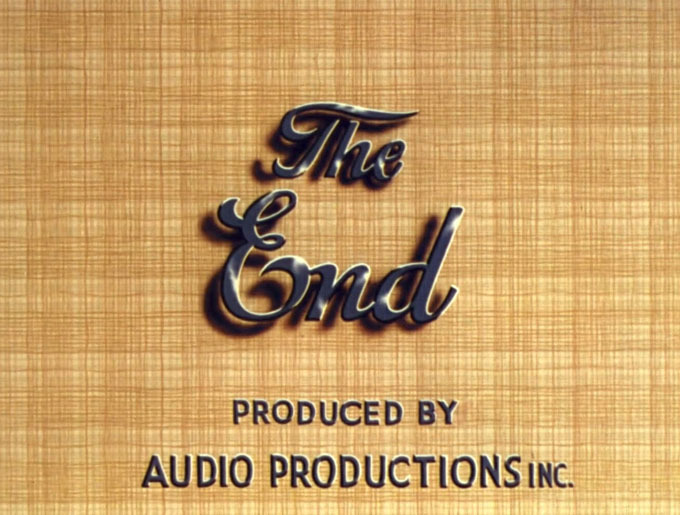 The ending card is simply the same illustration from the opening, only that there is a flat out plain ‘THE END’. Seeing those two really irks me curious about what happened between 1923 and 1927! It’s less about whether anyone has bothered, and more about what actually turns up. They rarely turn up in that form. Various archives have a few here and there. I’ll collect any original nitrate silent animation material I come across, but it’s scarce at best. Thankfully, though, a good number of the Fables can be found with original titles in 16mm, they’re just far less common than the TV versions. I’ve been able to acquire a handful in that form. Stathes: I should have been more clear next time…. I just see scarce, very scarce interest in the silent Fables shorts, both public collecting, private collecting and home releases compared to Felix shorts and even the Alice shorts, but given that 8-6 eBay hookers including you always sneak upon a Commonwealth element when they see one, maybe I underestimate myself. Anyways, I know you have a few originals. I have seen them on your Instagram and Facebook pages. ‘A Lad and his Lamp’, etc. 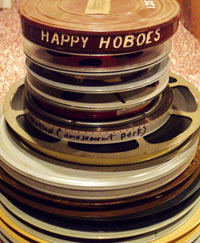 from 16mm. What is the oldest original you have? I do wonder if the Charles Mintz Columbia cartoon “Neighbors” will ever show up. The original camera and track neg along with a fine grain master exists at the Library of Congress as per the comprehensive filmography in James Layton and David Pierce’s book “The Dawn of Technicolor”. Only two-strip Technicolor Columbia cartoon considered “missing” is Monkey Love apparently, with an unsubstantiated claim Sony hold a soundtrack element.